The Information Technology revolution that has transformed the business world and changed how we form communities is now showing up in our homes, at least potentially. The Smart Homes Interest Group is for people who want to explore and share the opportunities presented for adding intelligence to our homes, including Voice Assistants, smart appliances, home control and security, and whatever else comes down the pike and ends up on our doorsteps. We propose to do this through a shared Forum on this website, occasional Face-to-Face meetings, and field trips to see demos or actual working Smart Home implementations. This group will be linked to the Washington Area Village Exchange IT Committee and possibly other similar groups. The only requirement for membership is interest and a willingness to learn, and perhaps teach. Many kinds of information technology seem to isolate us more than they connect us -- we are engaged with our screens more than with our neighbors. We will try to find ways to create a "Smart Village", not just a bunch of wireheads. click on the blue Opt-In button on the far right side of the Affinity Groups>Smart Homes box (it may be hiding in the page background). make your selections there about how often you want to receive Forum messages, what name you want to appear on them, and so on. This will put you on the Smart Homes Forum that will help you send and receive Email messages on upcoming events or interesting news about Smart Homes to other members of the Interest Group. there is a metro-wide association of Villages called the Washington Area Village Exchange and it has an IT Committee. 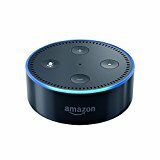 After getting started evaluating Village Software (like Club Express that hosts our website), we are getting interested in Voice Activated Assistants (smart speakers like Alexa, etc.). there is a national association of Villages called the Village to Village Network and, among other things they have now a discussion forum on Smart Homes. You may have to join VtV to access it, but since MPV is a member, this should not be a problem.